Dubai – UAE: Century Financial Brokers L.L.C., one of the oldest and trusted financial services firms in the UAE, has called on non-resident Indians (NRIs) to take calculated, investment exposures, reminiscent of their country’s Prime Minister Narendra Modi-led government. This call was made during a Seminar titled, ‘Making the Elephant Dance! – Indian Economic Reforms and its impact on NRIs’ organized in association with the Dubai Gold and Commodities Exchange (DGCX) in Dubai. 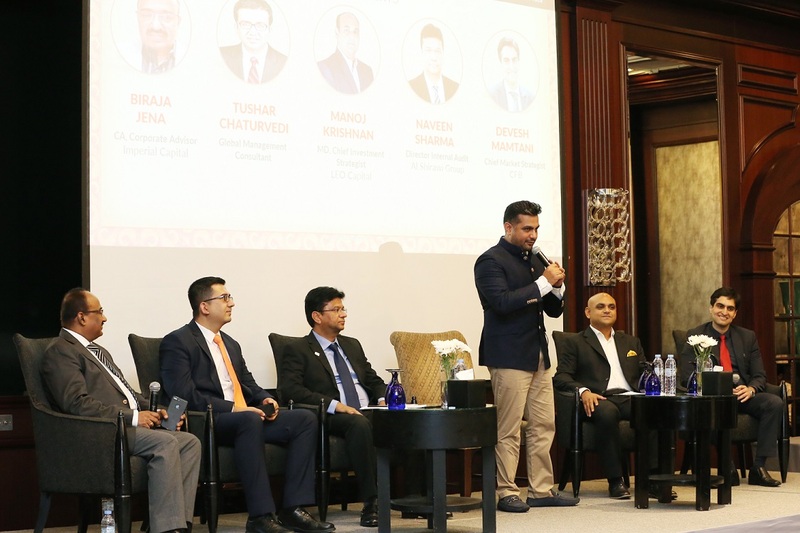 The highlight of the insightful and thought-provoking seminar which was attended by over 250 guests was a panel discussion which saw the participation of key speakers from the UAE’s NRI community, including senior corporate executives from prominent investment advisors, global management consultants and investment analyst. Some of the topics discussed by the experts included, ‘USD/INR future direction and time horizon for the same’, ‘Indian Property Market versus Global property’, ‘Current Tax Reforms with emphasis on GST and impact on NRI investing’, ‘Impact of Common Reporting System on NRIs’ and ‘Indian Equities Vs Other Asian Markets’. Considering the huge NRI community in the country and the recent, unprecedented Indian economic reforms that have been making global headlines, this seminar served as a perfect platform for Century Financial Brokers to pool in some of the leading financial and economic experts in the UAE for the benefit of its current and potential customers. Over 250 participants were apprised of the new investment opportunities that have opened up in the Indian markets, and were also introduced to the DGCX platform and products which also offer NRIs a basket of investment opportunities and the chance to participate in the global markets. After 70 years of independence India is treading an accelerated growth path, with a plethora of financial and economic reforms. “The change that India is currently undergoing has received domestic and global capital backing, however the government still has several hurdles to overcome. We are confident that this transformation will lead to higher prosperity, stability and global integration for India which opens up several investment opportunities”, added Mr. Bal Krishen, CEO, Century Financial Brokers LLC. A participant survey conducted during the seminar about the impact of the recent economic reforms on their lives and investment decisions was met with an overall positive sentiment. A majority (70%) of the survey respondents favored the digitization drive in India with 49% stating that demonetization will not adversely affect them while 35% believe that the Goods and Services Tax (GST) will impact them. With regard to diverting their investments to the Indian markets however respondents were currently not very positive with 55% not keen on investing in Fixed Deposits (FDs). Furthermore, respondent feedback on property investment was tied with 36% believing it is the right time and 37% against it. The survey also reviewed the knowledge and understanding levels of the participants about the Common Reporting Standard (CRS) that India has adopted. Markedly, 47% of respondents were not aware or were unsure about CRS and its implications. The two-hour seminar included some highly informative sessions on recent reforms in India and also served as a good/great networking opportunity for the participants. Established in 1989, Century Financial Brokers L.L.C.is the region’s leading financial brokerage firm and a well reputed online trading service provider in the United Arab Emirates. Since inception, Century continues to have a strong commitment and dedication towards providing superior and personalized customer experience, and empowering its customers through education, training and support, in line with the values and beliefs of its founder, Mr. Sulaiman Baqer Mohebi, a dynamic and visionary business leader. Century operates on the world’s leading platform which also provides a wide-range of financial instruments, covering 6 asset classes, across 100 markets worldwide with products ranging from Currencies, Commodities, Indices, Metals, Energies, and Inter-Bank Money Markets for both local and expatriate investors, to meet their diverse trading and investment needs.